Check out our pickleball courts beside the Community Garden at the qplex. There is no charge to play. Do you know a senior who could benefit from some time socializing and having fun? Or are you caring for someone and need some relief during the day? The Kings Way Life Care Alliance Adult Day Centre in Quispamsis is designed to support adults who wish to stay in their own homes and remain as independent as possible, for as long as possible. The Centre provides support with daily living activities that can arise from frailty, depression, social isolation, and/or the early stages of dementia. It also provides relief for caregivers so that they can continue to care for their loved ones at home. Activities are based on each client’s preferences. Current Activities inclued: Art, gardening, cooking, music, entertainment, exercise programs, book clubs, walking club, and outings. Health care monitoring on issues such as medications, blood pressure, blood sugar levels, cholesterol, dressing changes and general health status. Financial assistance may be available through the department of Social Development 1-866-441-4340 or Veterans Affairs Canada 1-866-522-2122. Anyone can apply to attend this program including the client, a family member, a caregiver, or a health professional such as a Nurse, Doctor or other. For more information please call 847-1131 ex 1116. Walk your way to a healthier you one step at a time. The three-lane indoor walking track is an ideal place to meet your friends and enjoy a leisurely or brisk stroll around the arena. Walk around the track five times and you will have walked one kilometre. During inclement weather we strongly suggest bringing along a change of footwear for inside use. This will help protect you from slip and falls, and our track from outside dirt and salt being tracked in. The Walking Track is open daily from 6:30 am to 10 pm unless posted otherwise. Please note: If a ticketed event is in progress, the walking track may be closed or a fee may be applicable. Please click to see the current schedule. Note: Traditionally the qplex walking track is closed during paid events, example KVHS Hockey and Major Midget Vito’s games. These generally occur on Tuesday evenings, closing the walking track at 5 pm, and Friday evenings with the track closing at 6 pm. Interested in meeting new friends and enjoying a variety of activities? 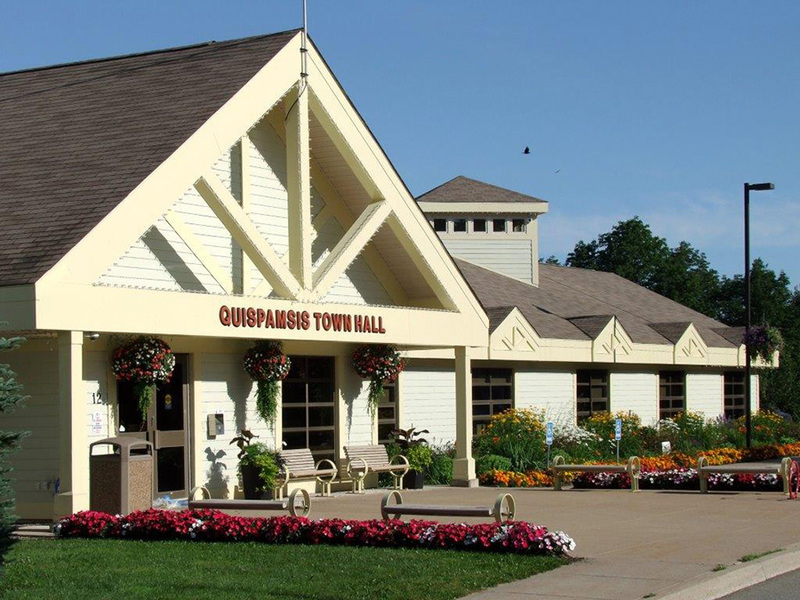 Join the members of the Quispamsis Seniors Club on Thursday afternoons at the Quispamsis Civic Centre. For more information please call Nancy at 847-3671. 12 Weeks / 12 Walks is a volunteer–led summer walking program that explores existing trails and routes in the beautiful Kennebecasis Valley. If you are new to walking or you are just looking for inspiration to find some new routes, the KV Walkers invite you to bring a friend along and join them! Walkers of all levels are welcome. Beginner walkers will have a shortened and slower paced route this year from the longer one hour in duration walk. There are lots of opportunities to find a walk pace that meets your level and to progress during the summer. The KV Walkers meet Monday nights at 6:45 and Tuesday mornings at 9:30 at each of the scheduled locations. Sign on to our KV Walkers Facebook Page for weekly reminders and information. See you on the trails! Join Deby Siemens and seniors at the qplex pool during the summer months. The group meets every Tuesday and Thursday at 11 am to enjoy aquatic exercise together for an hour. For more information contact Deby at 333-3329.